No commercials, just straight talk – subscribe NOW and enjoy the site 24/7. 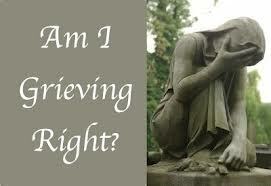 One Response to "Meria With John W. James Creator of The Grief Recovery Method"
Just listened to this great show. Grief boils down to undelievered appreciation. how appropriate. How much this information needs to get to the medical community. As a former Hospice nurse and having the five stages of grief to relay to patients and family, how I wish the whole truth had been available. But I know allow my families the space to feel and let it all out! Comment to me after father’s death was “Isn’t it selfish of them to go and leave us! Wish you had more timeto explore the grief from empathy of current world situations. It’s saddness for others and also the saddness of the world we thought was going to happen isn;t due to those in power. And last I appreciated his phrase “Lack of Knowledge” as that speaks to me personally in other matters and something I will use often.